Virginia Gov. 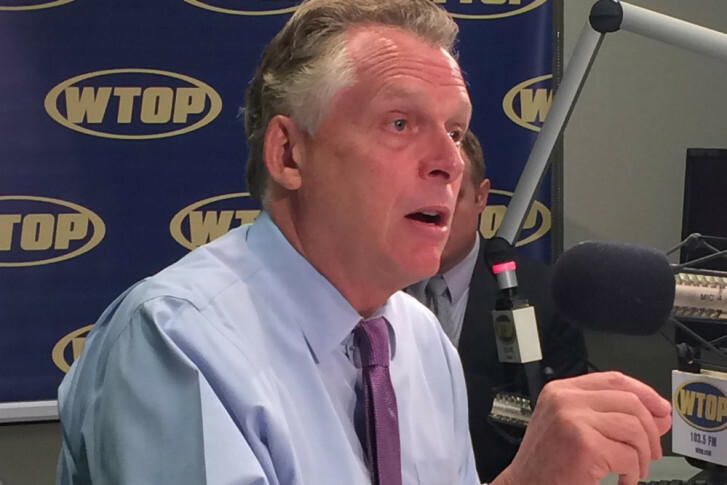 Terry McAuliffe showed no signs of backing down from his position that the state should expand Medicaid during an appearance on WTOP's "Ask the Governor" show Wednesday. WASHINGTON – Virginia Gov. Terry McAuliffe showed no signs of backing down from his position that the state should expand Medicaid during an appearance on WTOP’s “Ask the Governor” show Wednesday. McAuliffe laid the blame for the ongoing budget stalemate at the feet of House Republicans, saying they are acting irresponsibly by refusing to accept federal funding that would provide health care coverage for 400,000 Virginians as well. McAuliffe said he met with House leaders earlier this week and that the positions on both sides are unchanged. “As I reminded the House leadership the other day, I got about 1,060,000 people to vote for me. One of the main reasons they voted for me was to close this coverage gap,” McAuliffe said. He dodged questions about what would happen if the General Assembly failed to pass a budget by the end of June and risk a government shutdown. McAuliffe suggested that the state expand its Medicaid program for a year – on the federal government’s dime – and re-evaluate next year. States are eligible for three years of funding if they expand their Medicaid programs for low-income adults and families as part of the Affordable Care Act. Funding would drop off after that, forcing states to begin picking up a tab – a financial burden Republicans say the state shouldn’t take on. Currently Medicaid makes up about 21 percent of Virginia’s budget. “It’s a key driver of our budget,” McAuliffe said. The governor said he wouldn’t have to veto a budget that doesn’t include the federal funding to expand Medicaid because the Senate would never agree to that and such a bill would never make it to his desk. He said the federal funding would provide millions for mental health care, would help more than 12,000 veterans get access to health care and would generate tens of thousands of jobs, jobs he says would help offset the decline of military and defense jobs. McAulliffe also answered questions about his recent changes to the Virginia Board of Health and his request that the board would review new regulations that treat abortion clinics like newly-constructed hospitals. He called the rules political, onerous and said they were intended to shut down clinics. But he can’t force the board to change the regulations and he noted a majority of board members were not selected by him but that he’ll make more appointments next year. In the meantime, the regulations stand. “I’ve done what I can do within my authority,” McAuliffe said.